The Los Angeles Rams’ facility has a special guest today in Kevin Hart and its all over social media. Some people know Kevin Hart as a stand-up comedian, some know him as a police officer in Ride Along or a divorced man trying to get his wife back in Think Like A Man. But today, the world will know him as a football player for the Los Angeles Rams. At 5’4, 141 pounds, Kevin Hart does not have the ideal size to play in the NFL. But if he has a chance, the Rams wouldn’t be a bad fit. With a 2016 record of 4-12, the Rams enter this season with a lot of holes and expectations not that high. Hart tried his hand at returning punts but after watching the result — judge for yourself below — it looks like the Rams will go in another direction this season. 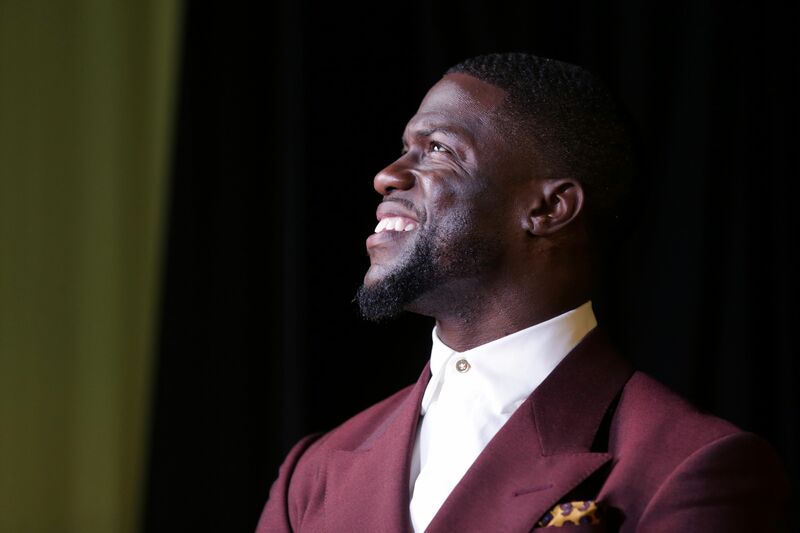 Kevin Hart was born in Philadelphia but currently resides in Los Angeles. Showing up to practice, Hart was there to entertain the team and have some fun with the players and coaches. But the coaches did not waste this opportunity. They put the movie star to work as soon as he got there. He was even seen helping the defensive players with their drills in a rather unique way. Hart is no stranger to sports. He has thrown out the first pitch before multiple baseball games and who can forget his legendary performances during the NBA Celebrity All-Star game. Aside from performing in NFL stadiums and appearing on pre-game shows, Hart has little experience with football. He got a chance to gain some today with the Rams.